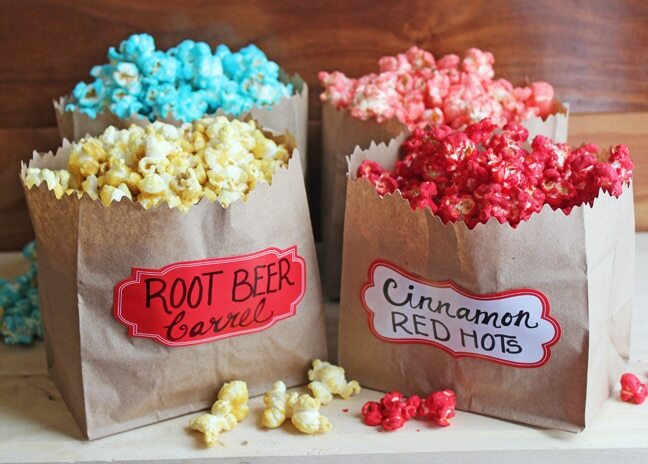 When you think of movie night you instantly think popcorn, right? 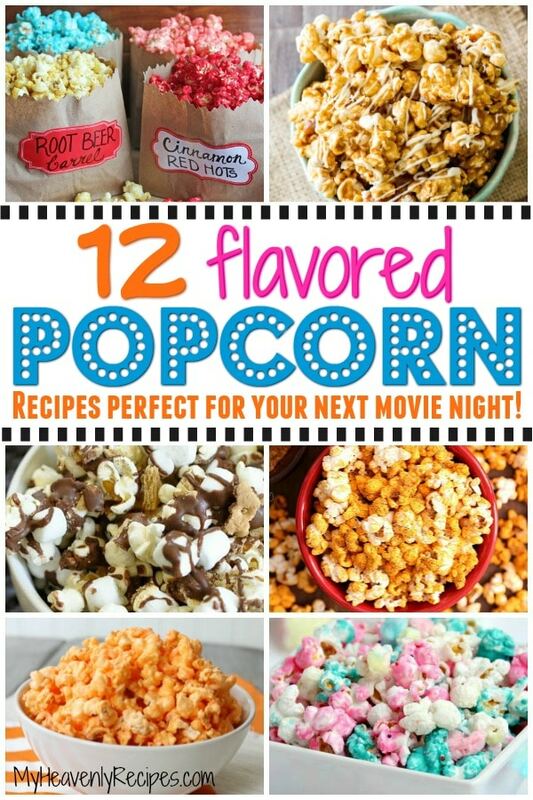 If so, come on in and check out these flavored popcorn recipes with me! 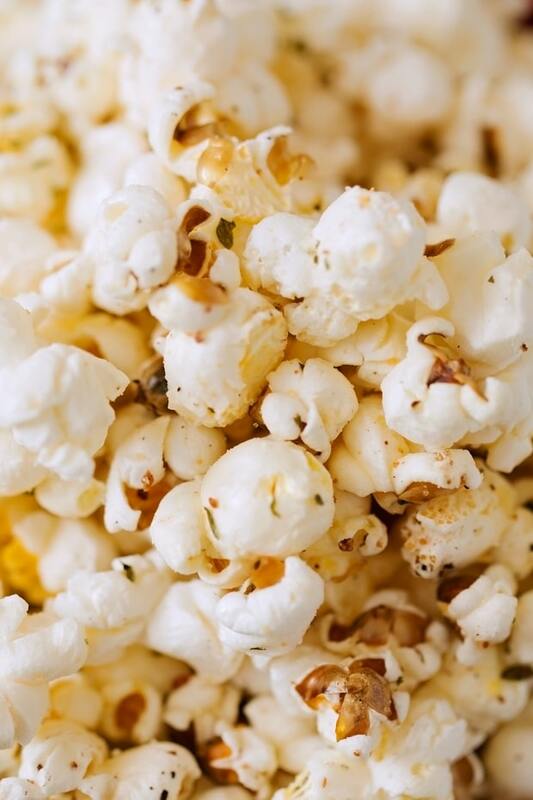 There’s nothing more comforting at movie night than popcorn. 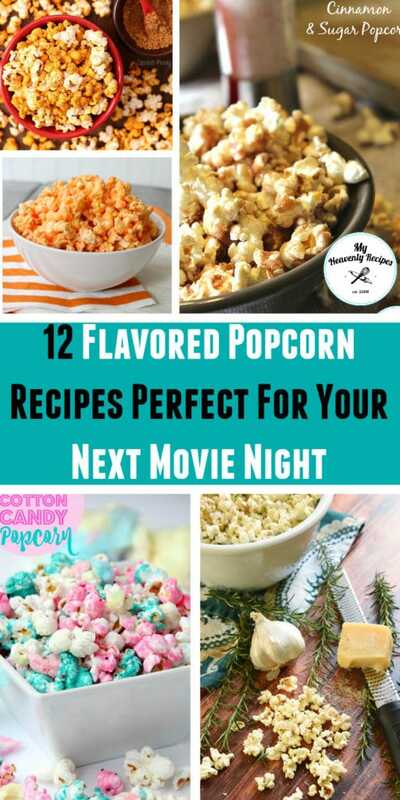 Whether you are at camp surrounded by friends and family, looking to snuggle up with your love and watch a grown up movie or have a tradition like we do of movie night every Saturday you’ve got to try these flavored popcorn recipes at your next movie night! 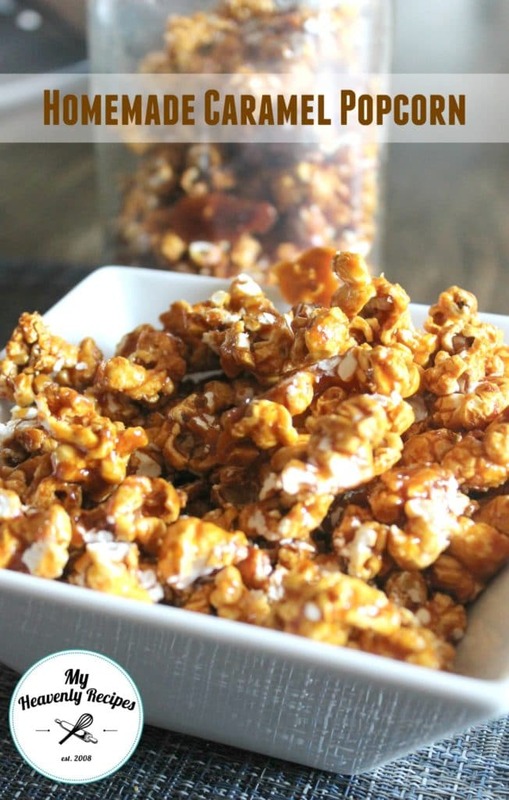 If you enjoy making homemade popcorn or looking to give a gift – check out my Homemade Caramel Popcorn Recipe. It’s not only delicious, but, it’s surprisingly easy to make! Now I created this Cinnamon & Sugar Popcorn recipe for ya’ll since you LOVED my Cinnamon & Sugar Pretzel Recipe so much! 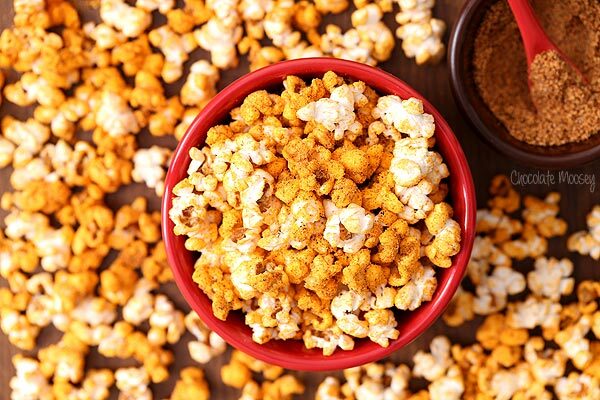 This Candy Flavored Popcorn recipe from Jamie Cooks It Up! 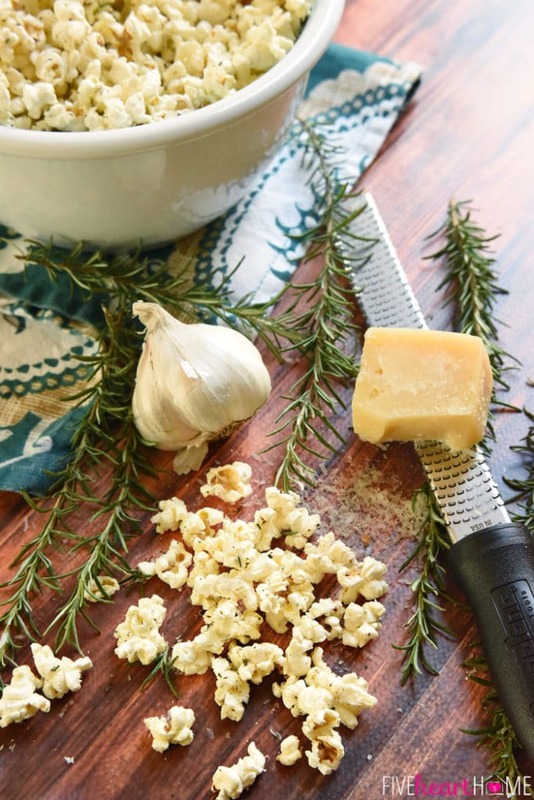 Or how about this Garlic and Parmesan flavored popcorn recipe from Little Spice Jar? 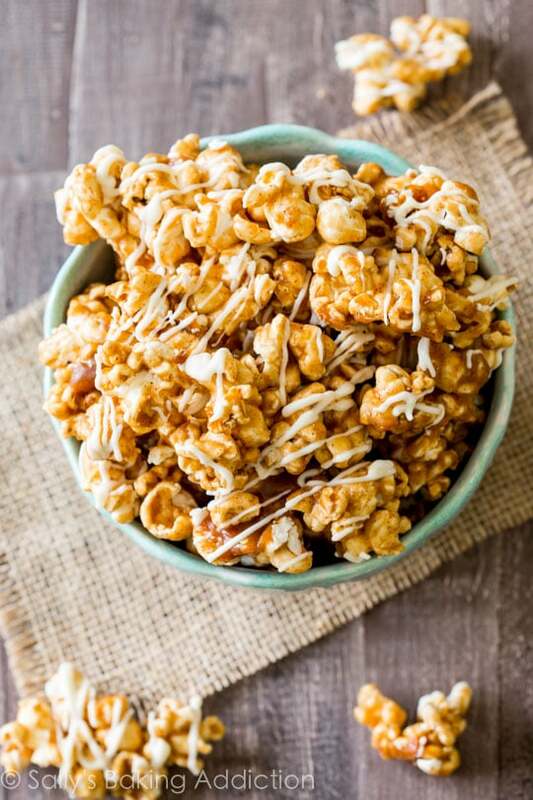 Now this Cinnamon Bun Caramel flavored popcorn recipe featured over at Sally’s Baking Addiction has me literally drooling right now! 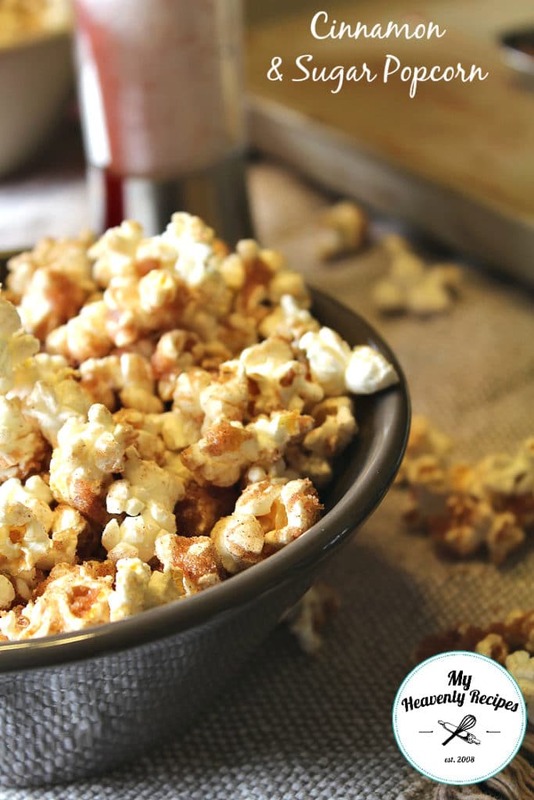 I’m sure my Hubby and I would LOVE this Rosemary Parmesan Flavored Popcorn Recipe from FiveHeartHome. 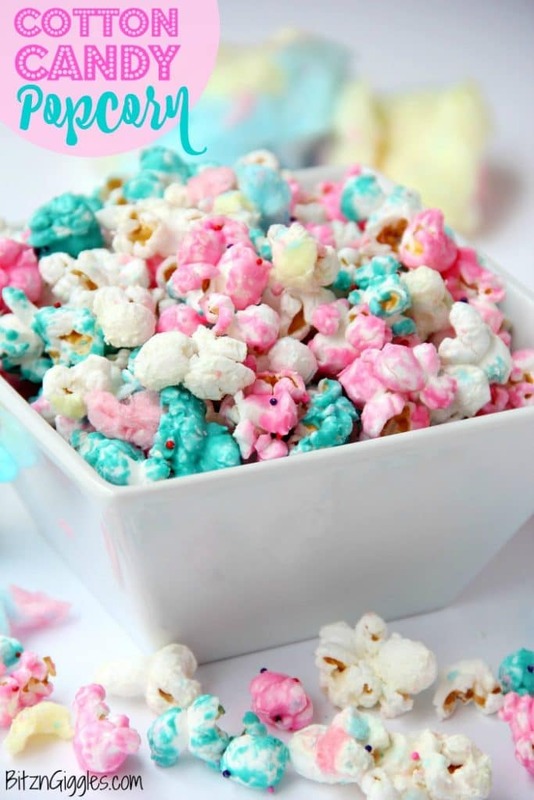 I’m pretty sure I’ll have this Cotton Candy Flavored Popcorn recipe from Bitz and Giggles out on the counter for them to recreate! 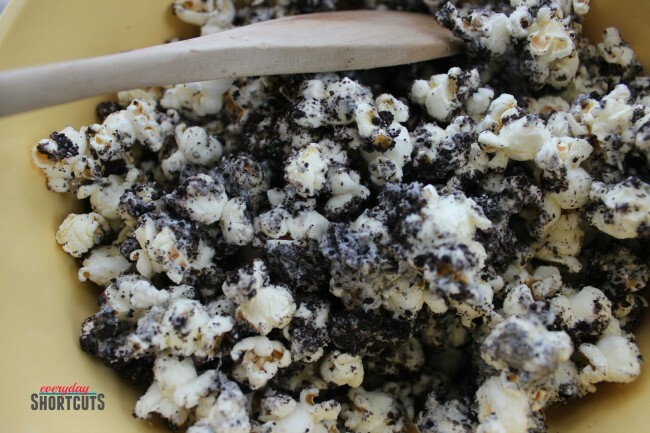 For those nights I’m just CRAVIN’ some chocolate I’m totally serving up this Oreo Flavored Popcorn recipe from Everyday Shortcuts. This recipe looks super easy! If you are a Snickers fanatic I’d HIGHLY suggest this Snickers Mouse Munch Flavored Popcorn Recipe from my friend Heather of Passion For Savings! I think I might whip this recipe up this weekend!!! 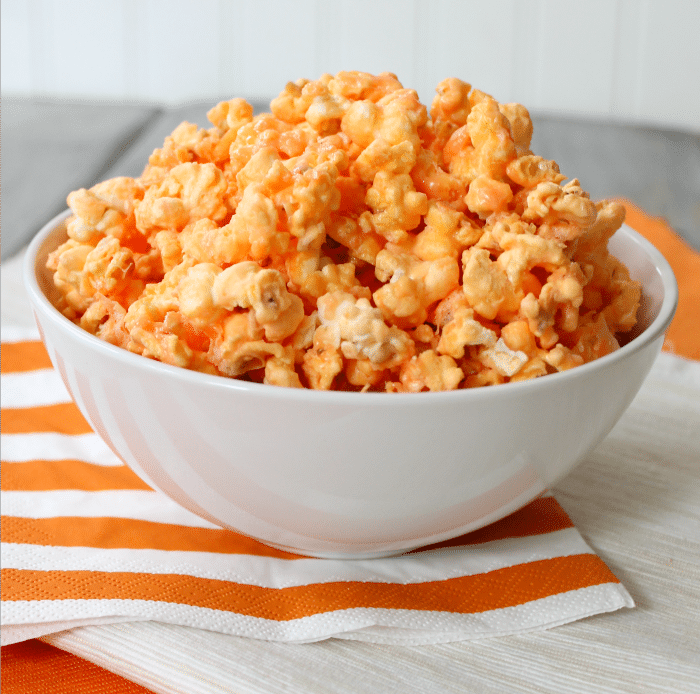 I’m pretty sure once my Husband sees this recipe he’s going to run to the store, grab the ingredients and ask that we make this Orange Creamsicle Flavored Popcorn Recipe from Six Sisters Stuff. Orange Creamsicle is one of his FAVORITE flavors! 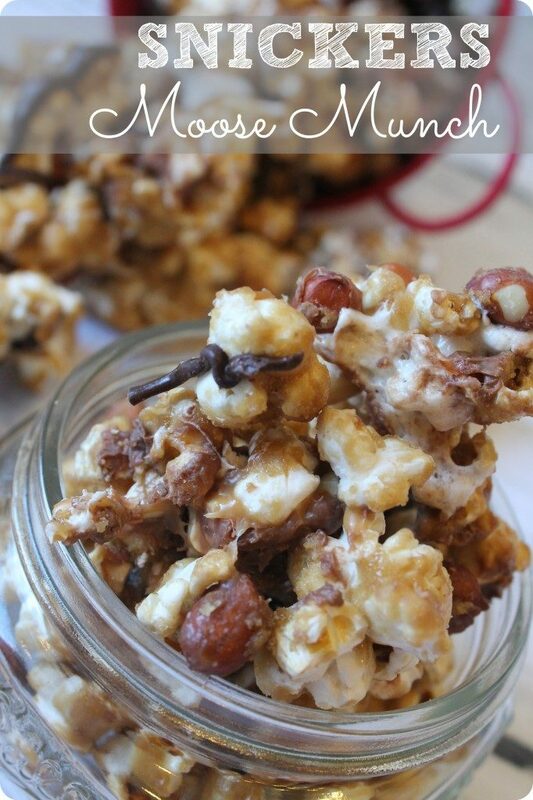 I saw this Chili Cheese Flavored Popcorn Recipe from Chocolate Moosey over on Pinterest and it got my attention! I pinned it. I’m not gonna lie, I’m a little intrigued at the recipe and will be giving it a try at camp! 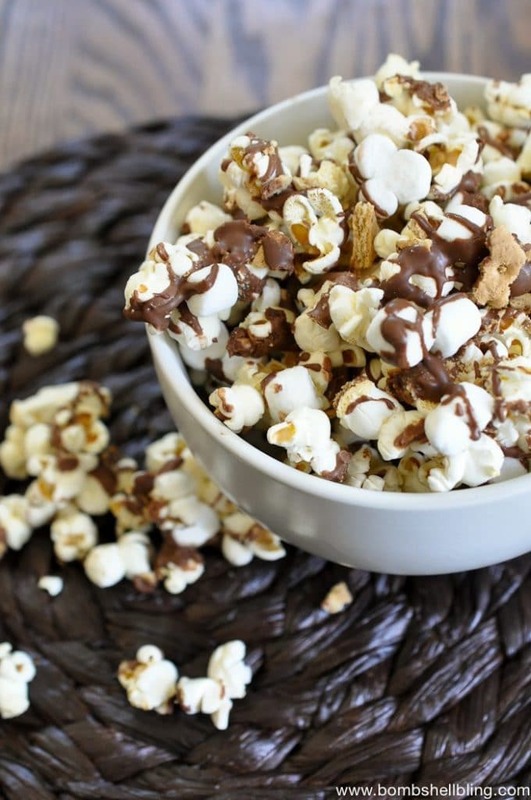 Last, but, not least….how about a Smores Flavored Popcorn recipe from Bombshell Bling? This is actually REALLY good and perfect for a little something different at camp.